Having significantly developed transport network, including both; public and private, Hong Kong has the highest rate in using public transport since more than 90% of journeys during the day are made using it. Using transport is quite convenient and easy since all of the signs are quite transparent and written in both Chinese and English. There are many ways of moving through Hong Kong, but the most popular ones are metro, ferry, bus and tram, and sometimes they can be attractions themselves. One more convenience when using this way of transport is the Octopus Card. Octopus card (八達通; www.octopus.com.hk; adult HK$150 (HK$50 deposit + HK$100 initial stored value), child/senior HK$70 (HK$50+HK$20)) is a multi-usage smart card that can be used in almost all forms of public transport, but also in shops, restaurants, theme parks, etc. When used in the transport, tickets are somewhat cheaper. Octopus Card is available on the MTR stations, Ferry Pier Terminus and at some bus terminals. It may be charged on the thousands of authorized locations around the city including metro stations, fast food restaurants and supermarkets such as 7-Eleven and Circle K. If you don’t spend all the money from your Octopus Card, you may give it back and raise the deposit and remaining balance on the metro stations. Octopus Card is valid for three years after the last reload date. 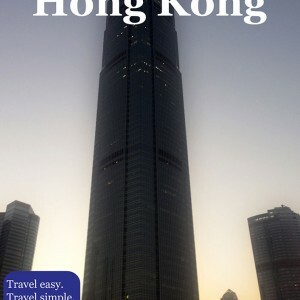 Besides aforementioned means of transport, The Star Ferry and Hong Kong Tramway, which serve as attractions themselves, there are also some other ways to get around the city. Star Ferry (天星小輪, www.starferry.com.hk) ride from Kowloon to Hong Kong Island and vice versa is one of the things you have to do in Hong Kong. The Star Ferry boats carry passengers across Victoria Harbour since 1888 and they haven’t lost a bit of its charm through the decades. It is arguably one of the best value for money boat rides in the world. Even though a modern and sophisticated railway and road tunnels now connect the two sides of Victoria Harbour, the Star Ferry remains favorite means of harbor crossing. Views from boats are wonderful and enjoyment in a romantic ride, especially at night, is guaranteed.Dorabjee Naorojee Mithaiwala, a merchant from Bombay, founded the „Star Ferry” Company in 1888. Company’s name was “Kowloon Ferry Company” until 1898 when the present name was adopted. The Star Ferry operates on two routes between Wan Chai and Tsim Sha Tsui (7:20-22:50; HK$2.5- HK$3.4; every 6-20 minutes), and Central and Tsim Sha Tsui (6:30-23:30; HK$2.5- HK$3.4; every 6-12 minutes). There is also Harbour Tour (www.starferry.com.hk/en/Fares), an hour-long circular cruise route around Victoria Harbour, covering stops at Tsim Sha Tsui, Central and Wan Chai. Adult/Concession fare HK$85/HK$77 for a day and HK$160/HK$144 for a night ride. There are several ways to get to/from Hong Kong International Airport (赤鱲角機場; www.hongkongairport.com), but the most convenient is Airport Express. Trains operate daily from 05:54 to 00:48, on every 10 minutes. Ride from town to airport, and vice versa takes about 24 minutes. Single journey and same day return ticket costs adult/children HK$100/HK$50 and round trip ticket costs HK$180. You can also buy Airport Express Travel Pass as described down below in MTR section. You can also take taxi from/to airport, but this would be the most expensive option. Taxi will cost about HK$300/HK$240/HK$250 for locations in Hong Kong Island/Kowloon/New Territories. Taxi stop is on the left side just outside of the Arrivals Hall. As Star Ferry on the sea, its land counterpart Hong Kong Tramways (香港電車, www.hktramways.com) is also scenic, reliable and cheap way to explore the city. The Hong Kong trams are nicknamed as „Ding-Ding“, due to the sound of the bells used in the trams. It is most environmentally friendly public transport in Hong Kong and the only one without air-conditioning. Trams have operated continuously in Hong Kong since 1904, with the opening of a single-track electric tram line between Kennedy Town and Causeway Bay. Hong Kong Tramways now have the world’s largest fleet of double-deck trams in service. It is not just historical, but also touristic way of transport. It is amazing ride and one of the best way to see and feel local life in Hong Kong.Hong Kong Tramways operate on Hong Kong Island only. There are six main routes running between Kennedy Town and Shau Kei Wan every day from 6:00 to 24:00. Fare is HK$2.3 per ride.If you have time, it is best to take ride from Shau Kei Wan to Kennedy Town. This ride takes about 90 minutes. Try to take the front seats on the upper deck for best street views. Mass Transit Railway (MTR) system (港 鐵; www.mtr.com.hk) is the best and most popular transport in Hong Kong, which covers a lot of areas of the city such as Hong Kong Island, Kowloon, Lantau Island and New Territories. It is also the easiest and quickest way to get around the city. The railroads represent the backbone of the whole transportation network of Hong Kong. In general, there are ten lines in the MTR system, where eight of them are basic metro services while the Airport Express is a direct line from the Hong Kong International Airport to the city center, and the Disneyland Resort Line only brings passengers to Hong Kong Disneyland. Different lines have different working hours, but generally trains operate from 6:00 to 1:00. Single Journey Tickets fares range from adult/concessionary HK$4.5/HK$3 to adult/concessionary HK$53/HK$27, depending on the distance traveled. Airport Express Travel Pass includes one or two single journeys on the Airport Express (excluding travel between Airport and AsiaWorld-Expo stations) and 3 consecutive days of unlimited rides on the MTR, Light Rail and MTR Bus (Northwest New Territories), except additional travel on the Airport Express, East Rail Line First Class, and travel to/from Lo Wu or Lok Ma Chau stations. This pass is valid for 72 hours plus any additional hours up to the end of train service on the last day, starting from the entry time of the first ride on the MTR. Tourist Day Pass includes unlimited rides on the MTR and Light Rail, except Airport Express, MTR Bus, East Rail Line First Class and travels to/from Lo Wu or Lok Ma Chau stations. This pass is valid for 24 consecutive hours starting from the entry time of the first ride on the MTR. Tourist Day Pass costs HK$55 for adults and HK$25 for children. Tourist Cross-boundary Travel Pass includes unlimited rides on the MTR and Light Rail, except Airport Express, MTR Bus, East Rail Line First Class, and 2 single journeys to/from Lo Wu or Lok Ma Chau stations. Tourist Cross-boundary Travel Pass costs HK$85/HK$120 for one day/two days. Travelling by bus in Hong Kong can be a pleasant experience, since they are quite comfortable and air-conditioned in most cases. Almost the whole city is covered with bus routes, and the system is very easy to use. Octopus Card can also be used here, or you may pay when entering the bus in cash, and regardless of distance of travel the fares are flat. However, if paying in cash, you should prepare the exact amount of money, since there is a self-service ticketing and change is not given back. Most bus routes operate from 6:00 to 24:00. Ticket prices range from HK$3 to HK$40, depending on line. Major bus operators in Hong Kong are Citybus & New World Firs Bus (www.nwstbus.com.hk), Kowloon Motor Bus (www.kmb.hk) and New Lantao Bus (www.newlantaobus.com). Taxis in Hong Kong are colored according to their operating areas: red taxis (HK$22 flag-fall rate for first 2 km, then HK$1.6 on every 200 meters) operates on Hong Kong Island and Kowloon, green taxis (HK$18.5 flag-fall rate for first 2 km, then HK$1.4 on every 200 meters) operates in New Territories and blue taxis (HK$17 flag-fall rate for first 2 km, then HK$1.4 on every 200 meters) operates on Lantau Island. One piece of luggage cost HK$5. Be sure to have your destination written in Chinese, as some of the taxi drivers may not speak English.